Evyn's had enough problems in her life, starting with her mother's death when she was young. But now her father's thrown a whole new batch her way. Not only is he marrying a woman Evyn hardly knows, but he's uprooting Evyn and her brother to go live with this woman... and her children. It's a lot of adjustment to make at once. And, quite frankly, Evyn has no desire to adjust. She wants her old life, her old friends, and her old house. She knows she's supposed to bounce along with the changes...but what happens if she doesn't? Funny, insightful, enjoyable and memorable. 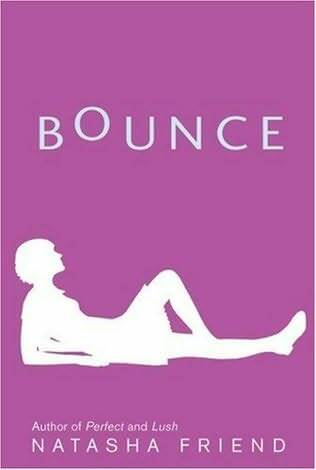 Bounce by Natasha Friend is one of those books that you remember. For the unique story set in the real world, the mood of relaxed storytelling and the warmth that it brings. At first, I was attracted to Bounce by it's funky purple spine and simplistic cover, but I found that the synopsis was what got me to read it. Bounce is a great story, it is emotional - and, like many of Friend's other books, it confronts issues that may face teenagers of today. I may not have been able to pinpoint exactly what it is that I like about Bounce, but there's definitely a spark in there somewhere. I think that if you're a girl from 11-14 years, you will really enjoy this book. If you do read it, tell me what you think!